Works of art, attractively priced. The American Wind Energy Association (AWEA) will be sponsoring a one-day forum on wind energy in Harrisonburg, Virginia on June 3. The Virginia Wind Center at James Madison University will host; others partners include the Department of Environmental Quality, the Sierra Club and the Southeastern Coastal Wind Coalition. Virginia currently has only a handful of small wind turbines statewide, putting us far behind neighboring states like Maryland and West Virginia. But AWEA’s Larry Flowers, who leads the team organizing the event, says his trade association sees great potential in the Commonwealth. With good sites for about 2,000 megawatts (MW) of land-based wind farms, and at least another 2,000 MW already slated for development offshore, Virginia could experience a wind boom in coming years. Yet that calculus may be changing as wind costs continue to decline, coal grows increasingly expensive, and natural gas prices show their historic volatility. At least as significantly, wind energy could be a means of helping Virginia comply with the EPA’s carbon regulations under Section 111(d) of the Clean Air Act. The regulations for existing sources have not been proposed yet, but may allow states to reduce their overall carbon emissions by adding renewable energy to their electric generation mix. Certainly, wind development would be a huge economic opportunity here. Offshore wind development is projected to create ten thousand career-length jobs in Virginia and bring millions of dollars in new economic activity to the state, especially to the Hampton Roads region. Land-based wind would be a boon to the economically hard-hit counties of southwest Virginia, where coal jobs have been disappearing steadily for more than twenty years. 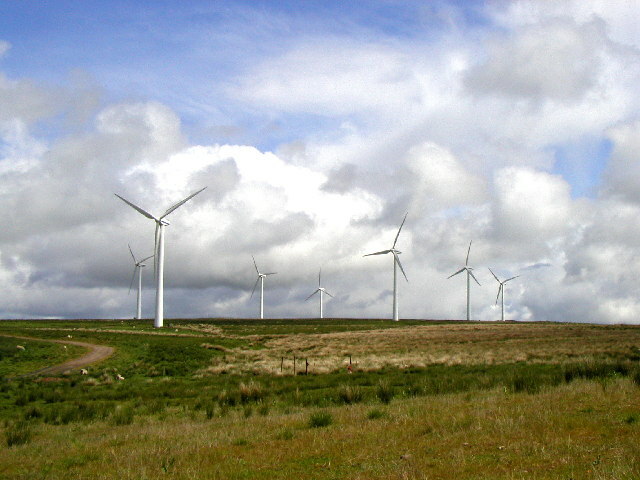 In addition to jobs and payments to landowners, wind farms would provide critical local tax revenue. These policy issues will be featured topics at the AWEA forum, along with practical issues including siting, wildlife impacts, and small wind applications. Registration for the Virginia wind energy forum is available here. Early bird discount pricing is available until May 13. This entry was posted in offshore wind, Renewable energy and tagged AWEA, energy, environment, JMU, offshore wind, Virginia, wind power. Bookmark the permalink. I remain opposed to land-based wind development in Virginia because of the documented effects on birds, esp. in migration, as all the sites at suitable elevation are along major migratory routes. (See American Bird Conservancy). Offshore looks much better, but since Dominion has bought up most or all of the potential sites, and they have no documented interest in new alternative energy sources, I wonder about the potential.